11 beautiful, traditional farm buildings and homesteads. 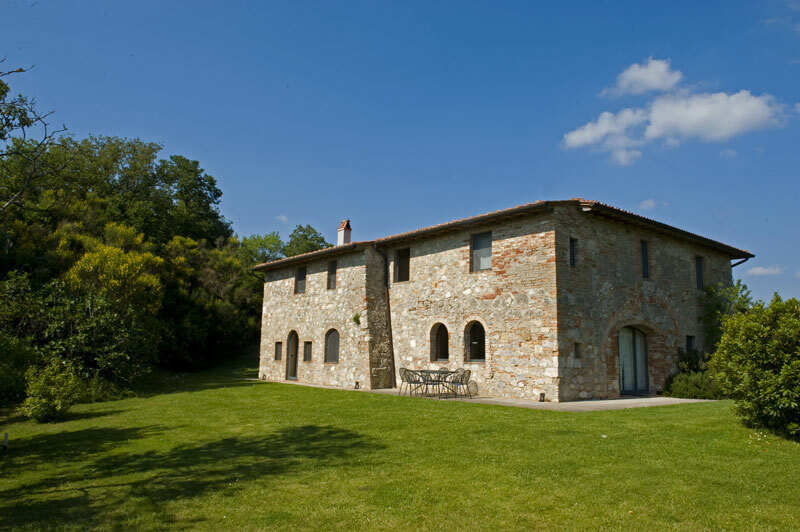 Tenuta di Spineto is located between Chiana and Val d’Orcia, a UNESCO world heritage site, protected from the nearby Monte Cetona and the impressive Mount Amiata, in a pristine untouched valley which gave birth to the Orcia river. Hard to resist to such a magnificence: that is what Benedectine Vallombrosan monks must have thought when they arrived here. By the way we imagine they found the site not so easy to access and inhabited by thorns (“spini” in Italian; hence the name of Spineto). They here put the first stone to build the Abbey. In a short time, they managed to create a virtuous system which involved different activities such as agriculture, handicrafts and spiritual ones. Activities that have given us this place: intact and full of energy transmitted by nature; both spiritual and laborious with the ancient Abbey which acts as a fulcrum. The 11 renovated villas now have a new life and a new purpose. Houses dedicated inhabited by those who worked in the fields and animals, have been turned into luxury villas and farmhouses, each with its own private swimming pool, enjoying large indoor and outdoor space, and with all the amenities one may need. 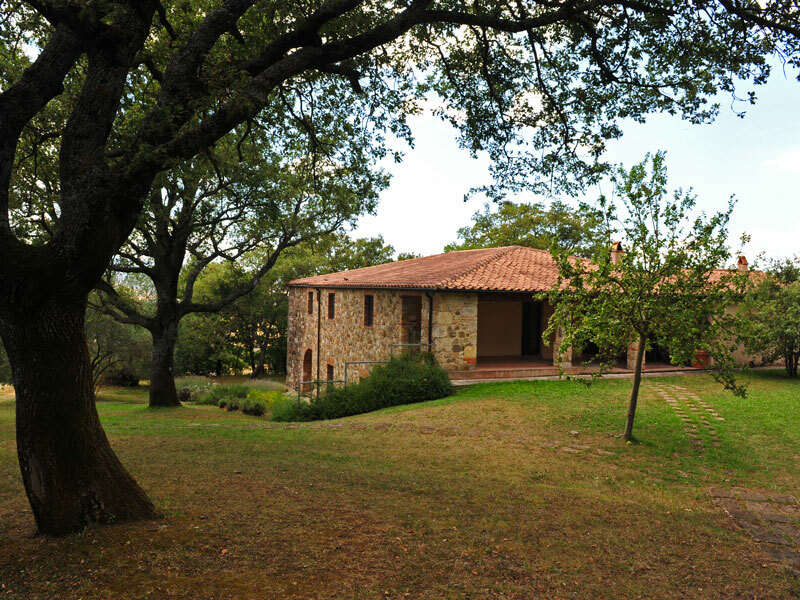 The property consists of 830 hectares, most of which, forest. Privacy is our priority. The cottages are even some miles far from each other. This gives our guests the opportunity to enjoy the contact with nature and the wild animals that it is not hard to see during walks. Each villa enjoys a fabulous location. The most of the villas stand out of small hills that dominate the landscape. The open view from Casino di Caccia, above the lake of Spineto and the Abbey, with the grandeur of Mount Cetona, or even the beauty of the sunset over the sea of ​​the Val d’Orcia, which one can enjoy from farmhouses as Poderuccio, Cerchiaia, Sorgente and Banditaccia: this is breathtaking. The prime location is not only from the point of view of landscape. The estate and its villas are located within a short drive to the most famous small cities of the region: some examples are the utopian city of Pius II, Pienza; the pearl of the ‘500 that has given birth to Polizano and Redi, Montepulciano, Cortona, Bagno Vignoni spa belonged to Lorenzo de ‘Medici. At only about an hour one may discover jewels from Tuscany and Umbria such as Siena, Perugia, Arezzo, Orvieto. But there is no need to go far for a thorough tour of the major sites of archaeological interest as Chiusi or Sarteano. We always recommend our guests to experience our small villages in the nearby, enjoying the life of the local people, a bit “slow life”, but it’s nice to linger in the main square of a cute village for a drink, enjoying the local’s walking, then return home where one can still rejoice a sunset over the Val d’Orcia. And why not one can book a Tuscan chef to prepare a dinner at the villa and enjoy the Tuscan “buon vivere” that the world dreams of. When to start organizing your wedding? By using this form you accept the storage and management of your data from this website.